I LOVE the month of October! I can finally bust out my jeans (and unfortunately this is the time of year I begin to bust OUT of my jeans) , my fall decorations go up and the weather outside lets up and starts to dip to the cooler 70's. October is when the heat marathon finally ends and my reward for crossing the finish line is the comfort food of fall! As I sat and brainstormed the topic of comfort I had one client come to mind over and over again. His name is Bernie. Actually, 2 clients that came to mind. Jake and Bernie. I have been photographing Jake since he was 3 months old. A common thread in almost all our sessions has been his friend, Bernie, a little monkey that brings him comfort. 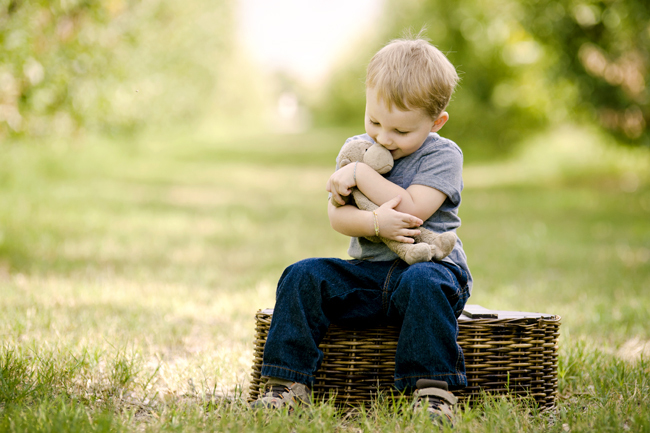 Do your kids have a favorite stuffed animal they use for comfort? Make sure you photograph them with it! 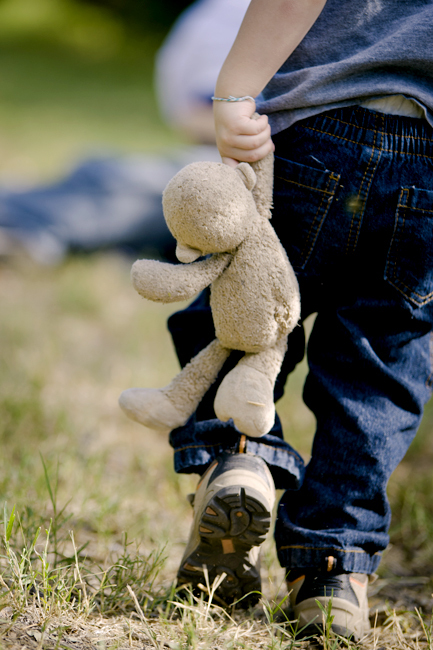 Here are a few tips that will help you capture your little ones with their own "Bernie." 1. Always make the toy a member of the family. When I photograph Jake I always ask him if Bernie needs a picture taken, too. If he does, Jake is the one who calls the shots. He says where Bernie sits and tells me when enough is enough. 2. Use the toy to your advantage! I know what you are thinking. You're worried that the dirty stuffed animal is going to ruin your picture. No way! For Jake, Bernie always serves as a great tool to help me capture authentic pictures. I can tell him to give Bernie a hug and he is going to do it willingly! 3. Use the toy as a measurement tool. I like to use objects to show the growth of a child. Because Jake has had Bernie for so long, and has had him at each photo shoot, we have gotten many pictures of Jake loving on Bernie. When Jake was 6 months old Bernie looked A LOT bigger than he does now. Using an object consistently over a long period of time shows growth the child has made. Follow the circle and visit all of our CONFIDENCE Teachers. Each one of them interpret COMFORT in a different way. Next up is Janna King, a fantastic photographer and teacher based out of Texas.